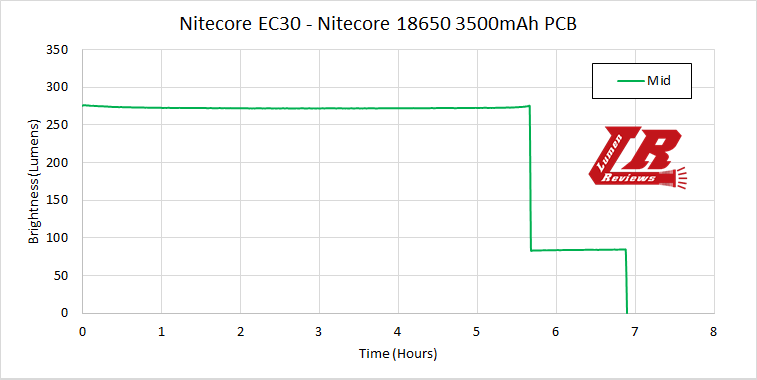 I received the Nitecore EC30 from Nitecore for the review. 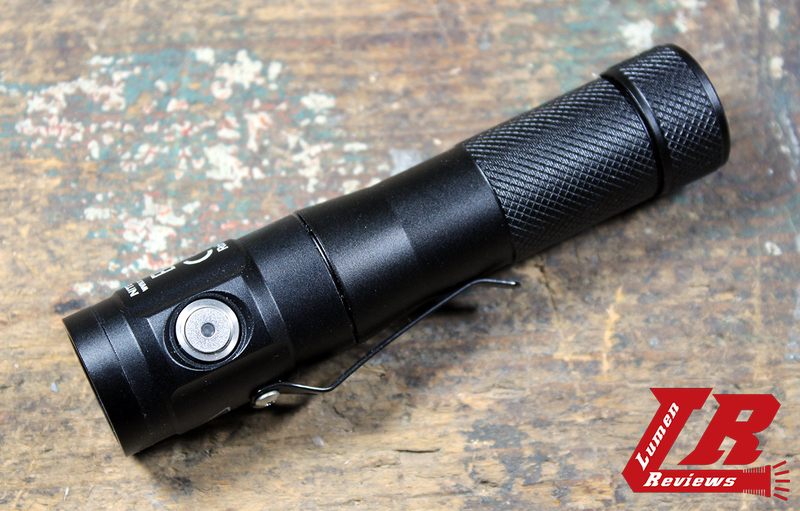 The EC30 is a new EDC light, that shares some design elements with the previously released EC1. The EC30 features a XHP35 HD emitter (claiming 1800 lumens at Turbo mode) in a smooth reflector, powered by a 3500mAh High Discharge Capable 18650 with PCB (provided with the light). 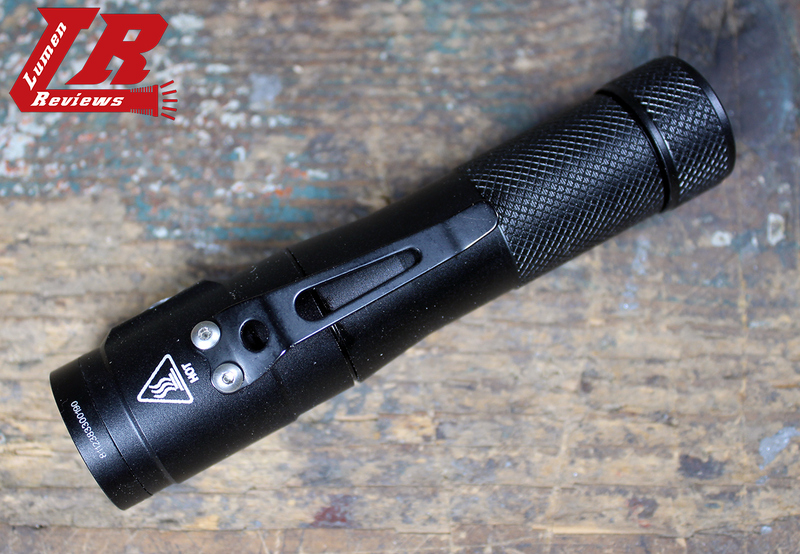 The EC30 is controlled by a single stage electronic switch on the head. 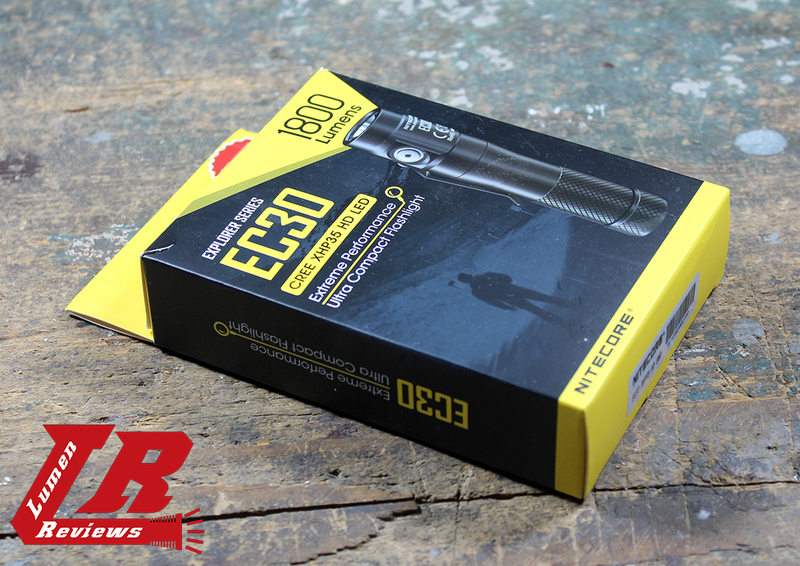 The EC30 comes in this box with: battery, pouch, lanyard, manual. 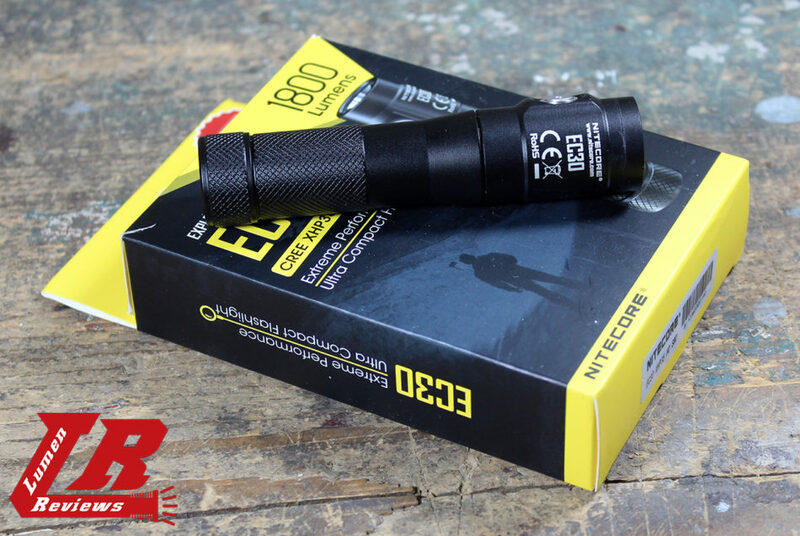 The EC30 is 112 mm long and weights 65 grams, making it a light and compact 18650 powered EDC flashlight. 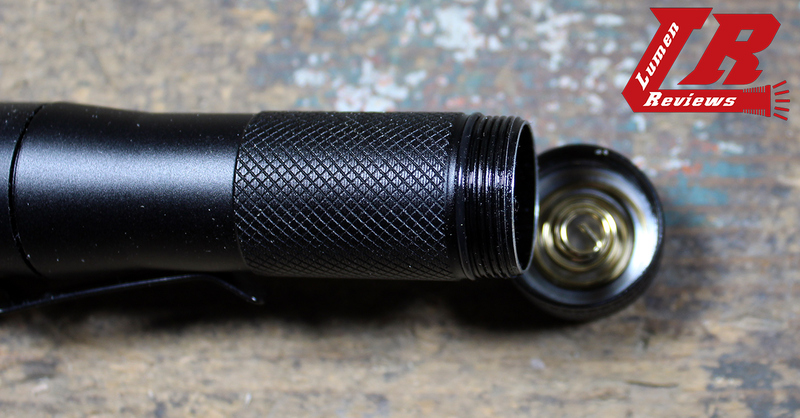 The threads at the tailcap are anodised and so they provide physical lockout. 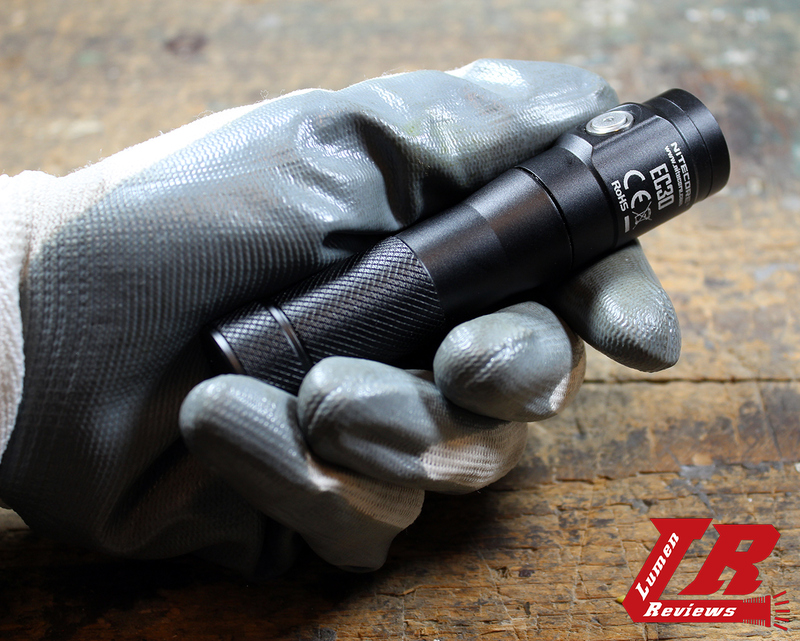 Inside the tailcap is inserted a magnet that allows you to attach the light to metallic surfaces. 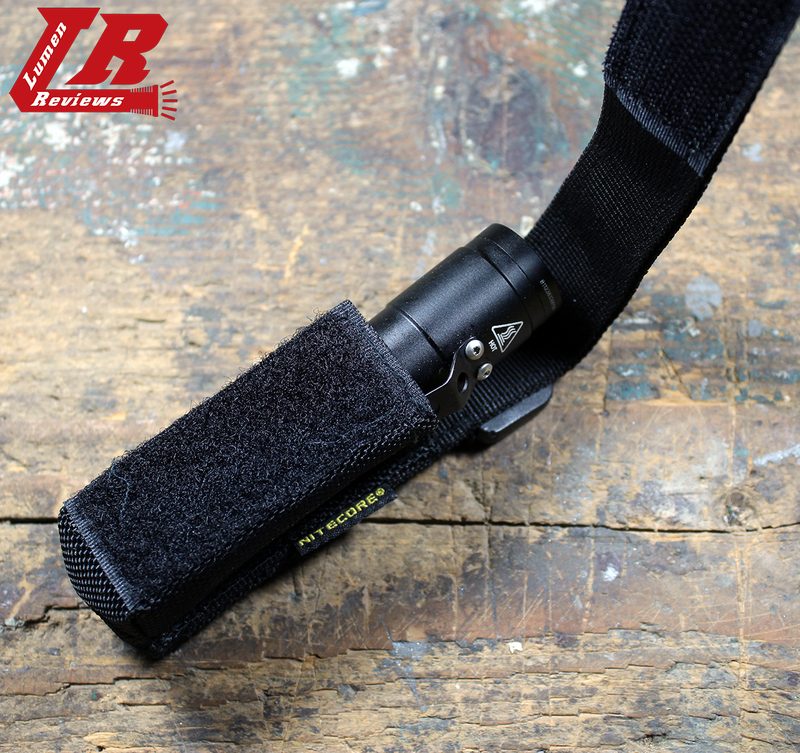 The tailcap is flat and can stand. 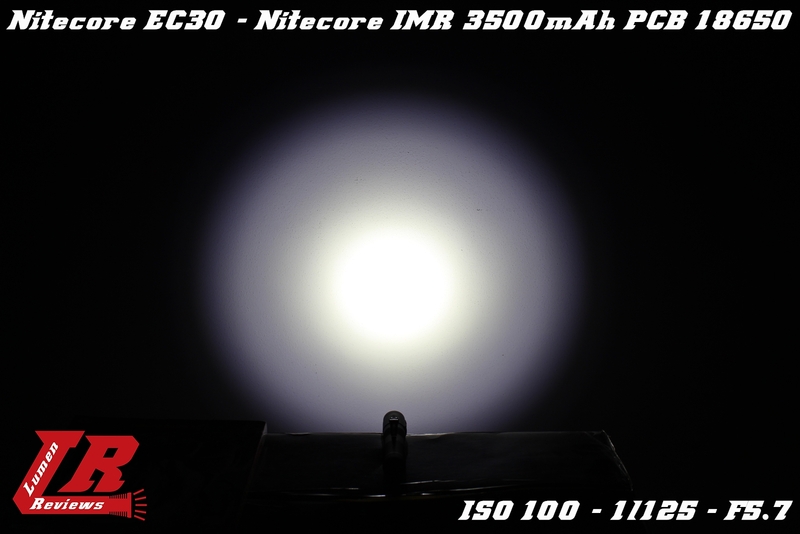 The electronic switch, compared to the one of the EC1 is a traditional one, and features a big circular cutout at the centre to show the LED that displays the voltage of the cells upon their insertion in the EC30. 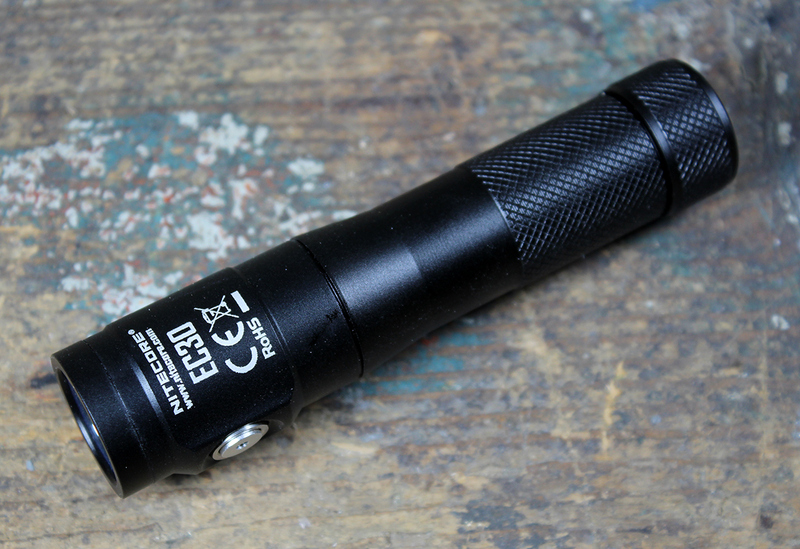 The positive contact pole at the head is a nested dot, so only button top cells work in this light. 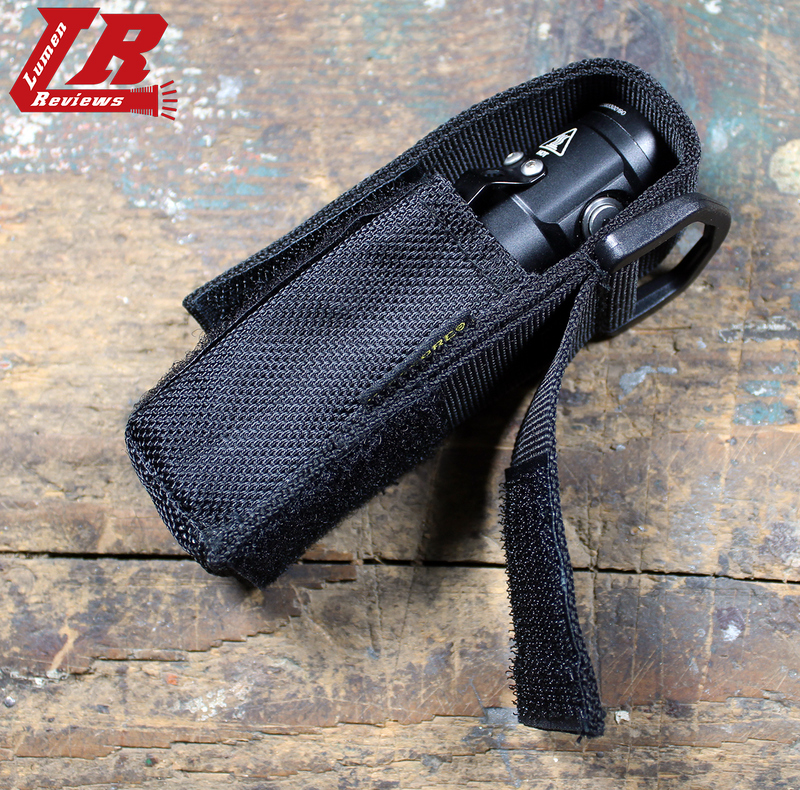 The clip is very similar to the one of the EC1, it is secured to the body via 2 screws and can’t be moved on the EC30. 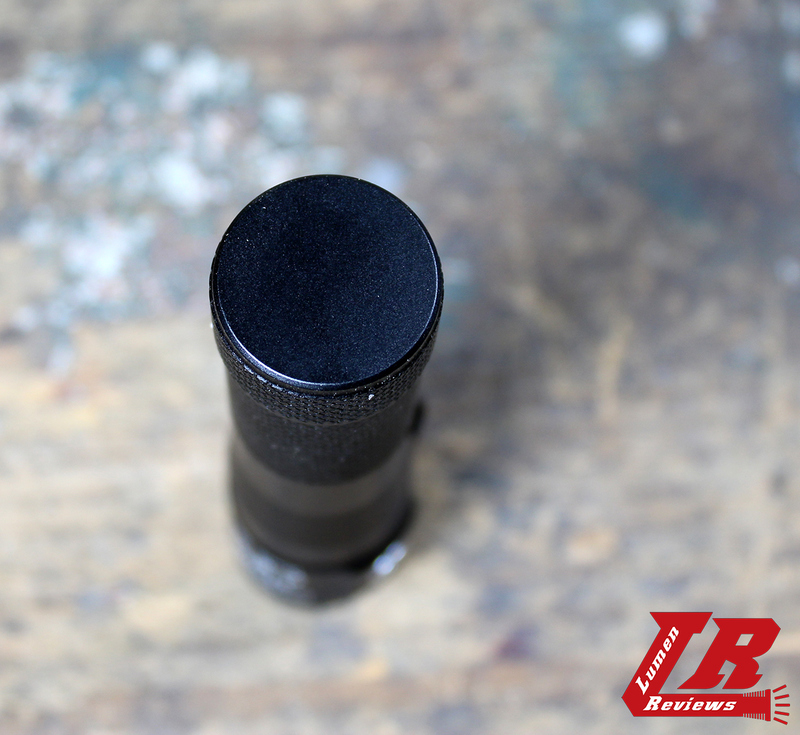 It provides also an effective mean for anti rolling (a less effective alternative is the switch area, which is raised from the surface of the light). 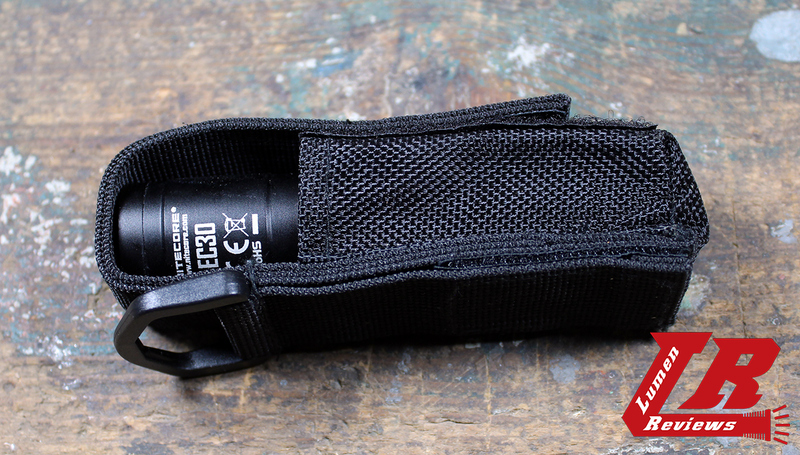 The Sheath is in cordura, MOLLE capable and with a plastic D-ring. 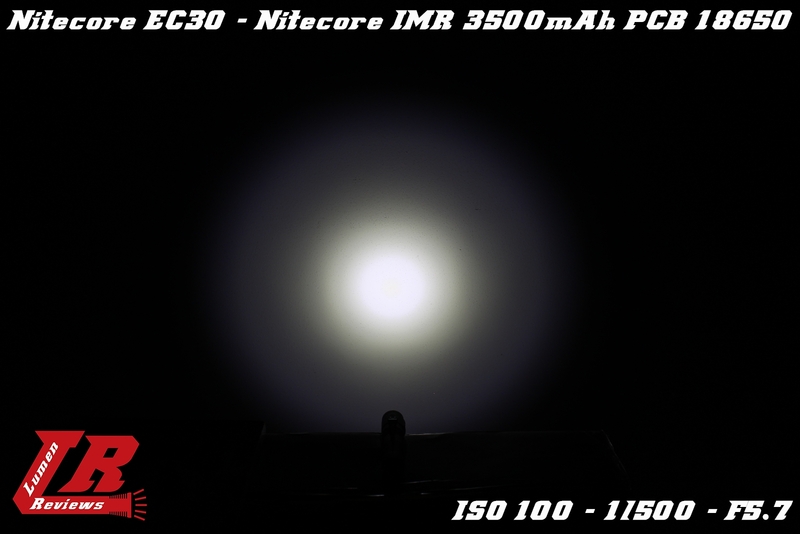 As expected, the big XHP35 HD emitter produces a wide beam suited for close to medium distances. 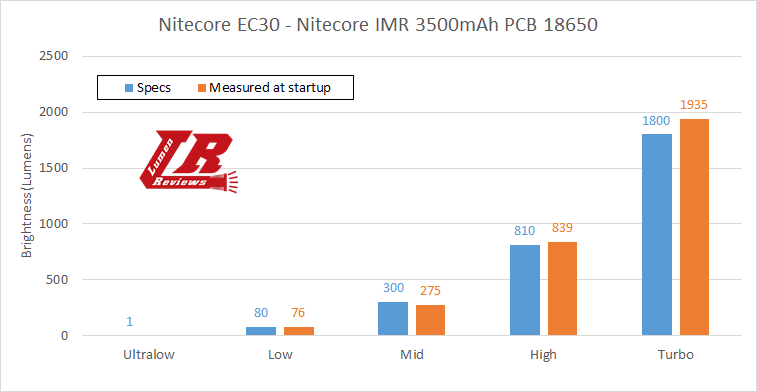 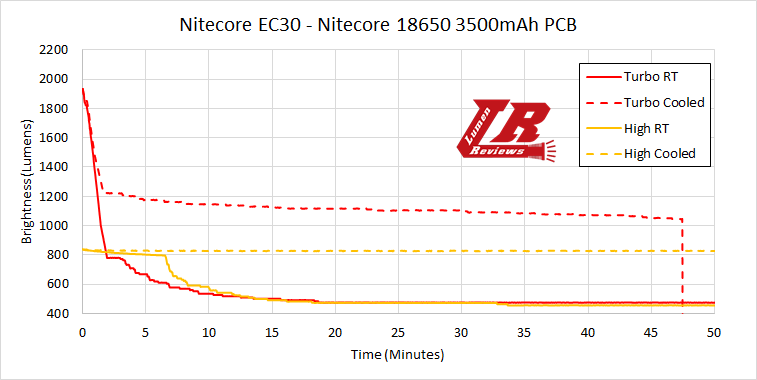 Measured with the provided 3500mAh IMR PCB 18650 Nitecore Battery. 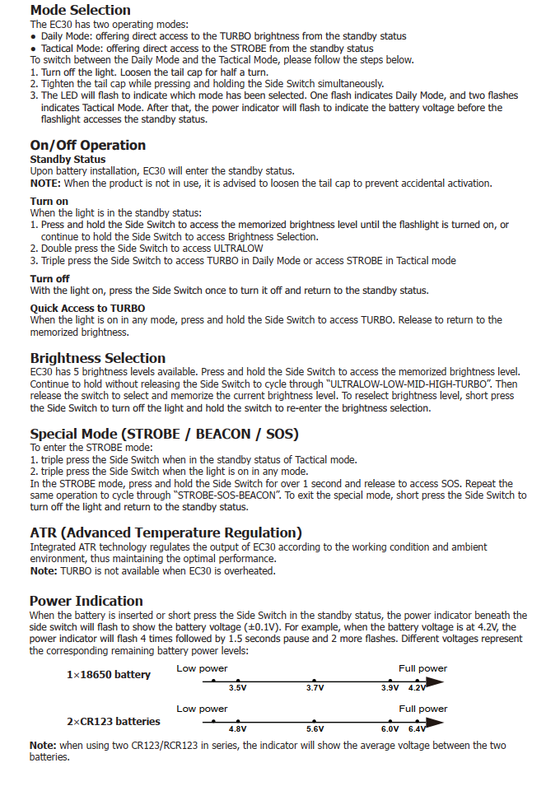 I like the interface with quick access to minimum, maximum, and last used mode. 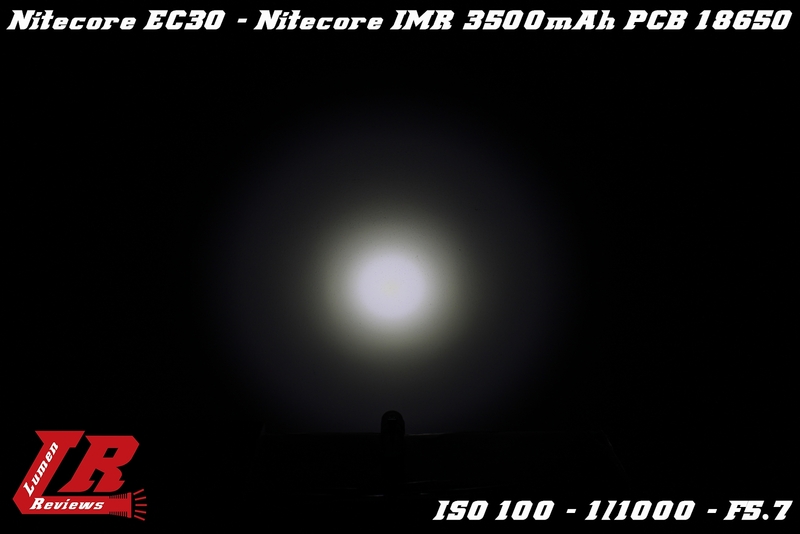 I like the chance to personalize the interface, in order to get quick access either at Turbo or Strobe mode, depending on your needs. 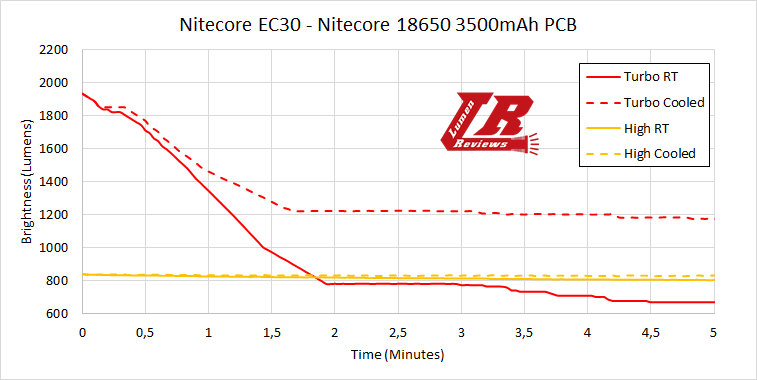 The switch, compared to the EC1, is a more traditional and IMHO works better. 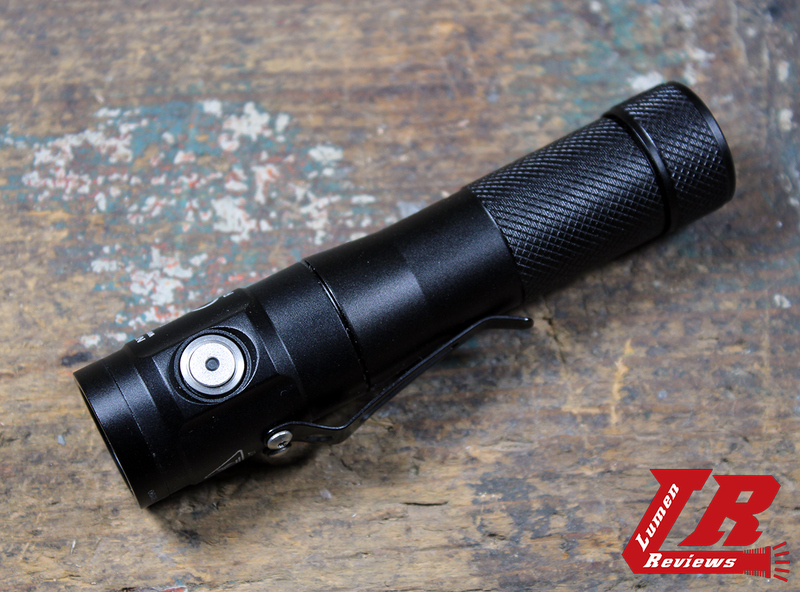 The clip is very solid, but I don’t like how it carries: exposing a lot of the light and with the LED and the glass facing up (but this is only a matter of preference). 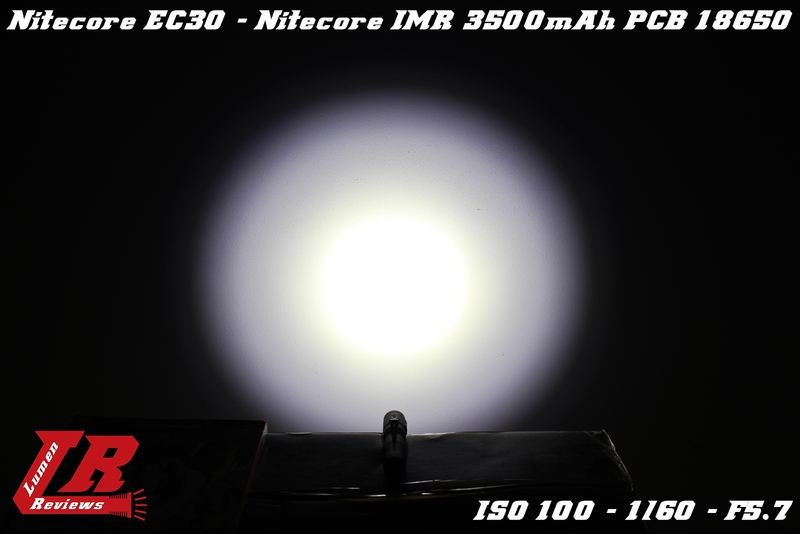 The regulation at the tested levels is fine, with an ATR system that works: without any cooling the EC30 rapidly declines from the Turbo output, to around 800 lumens, then lowers in a few tenth of minutes into a stable 400ish lumen output; instead, when the EC30 is cooled, the initial Turbo output diminishes around 1200 lumen, and basically can keep this level with a further small reduction in output, until 1000 lumen a bit after 47 minutes. 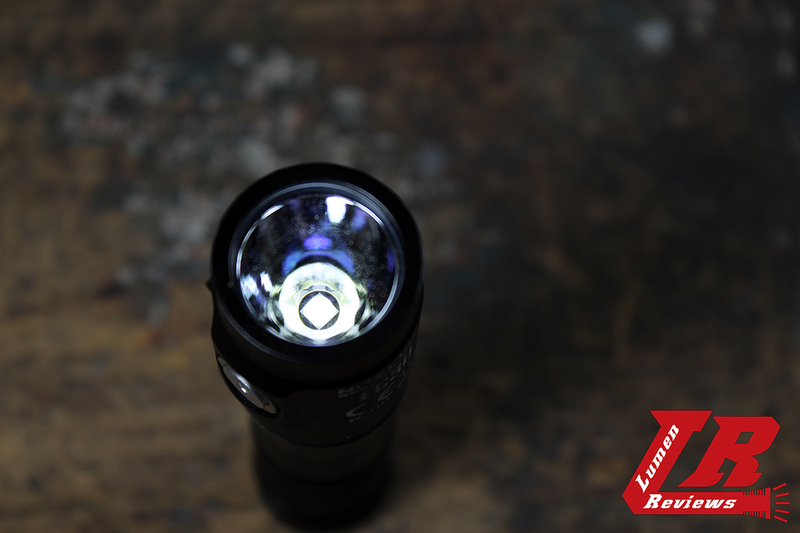 For the High mode, without cooling, the 800 lumens mode will last until 6.5 minutes before slowly decreasing to 400 ish lumens. 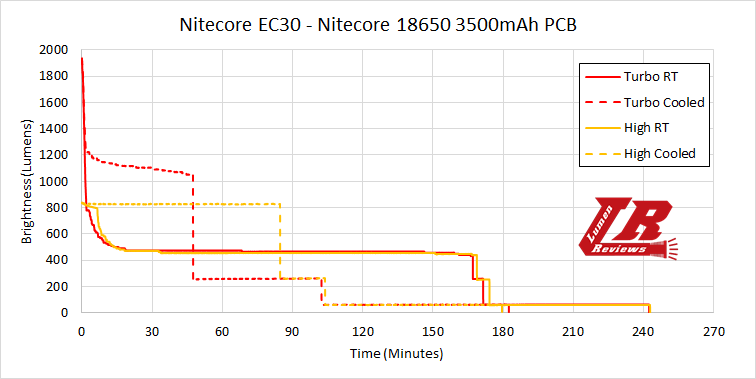 Instead, with cooling, the light will maintain the initial 800 output for 84 minutes. 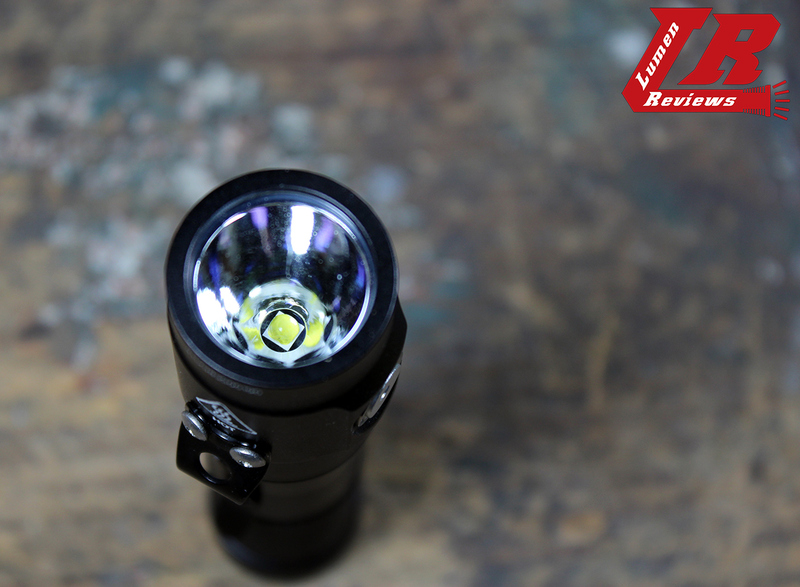 I would like to see this light come with a neutral white or warm white tint. 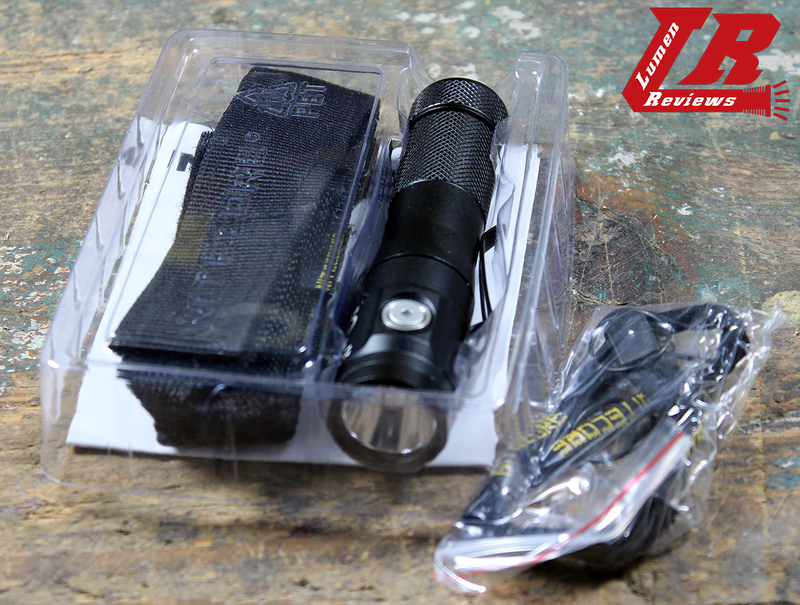 The sheath could fit the light more snugly.